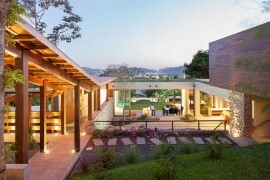 Modern homes are all about blurring the lines between the indoors and the world outside. 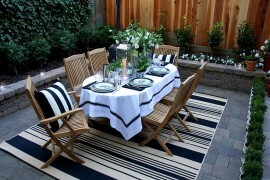 This constant push to extend the living space outdoors has led to the emergence of whole new trends in home design. 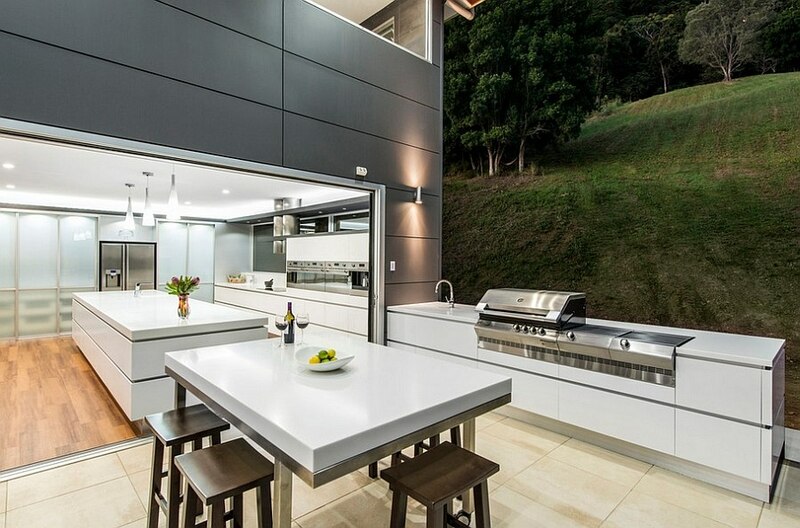 Much like the luxurious lounge next to the pool or the gorgeous pergola, modern outdoor kitchens are all the rage as they allow you to ‘take the party’ completely outdoors! 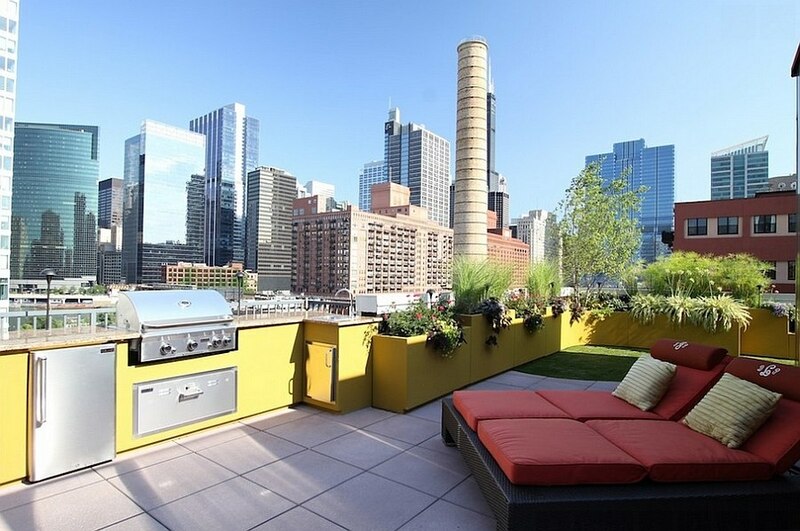 Completing the fun and relaxed pool deck or the fabulous rooftop terrace with amazing views, an outdoor kitchen allows you to entertain friends and family in a far more stylish fashion. 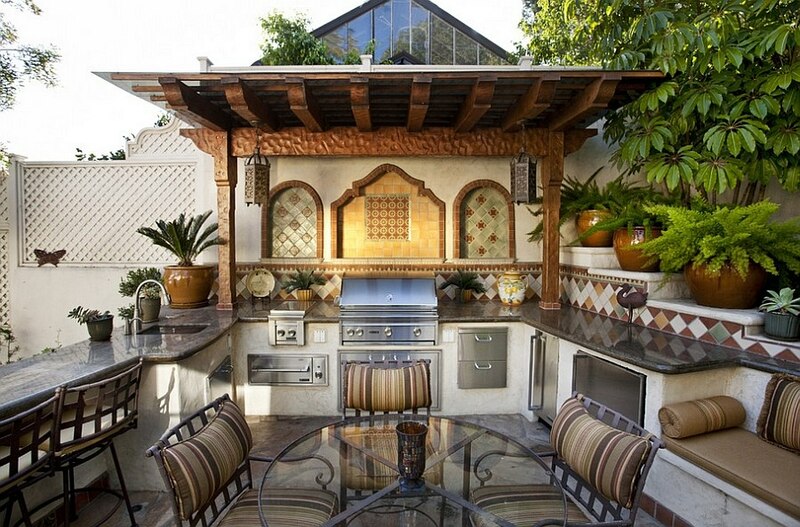 One of the primary factors to consider while planning for an outdoor kitchen is the functionality of the space. 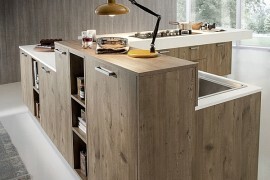 Always remember that form comes in only after the practical value of a kitchen, be it indoors or outside. 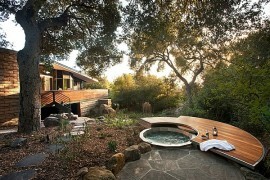 If you can achieve that ideal balance between both, then great! 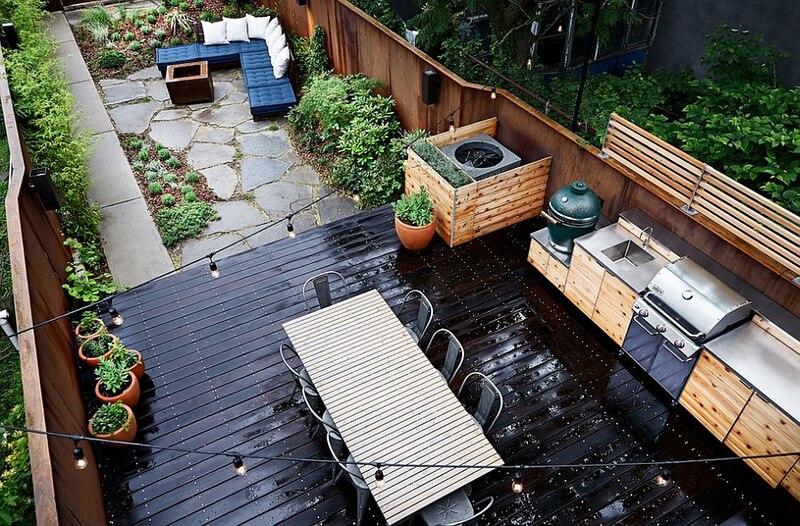 But first think about where you will set up the outdoor kitchen, how it works along with your pool area or terrace seating and what it will be used for. Make a note of what appliances you will need depending on what style of cooking you love and the kind of dishes you intend to serve up. 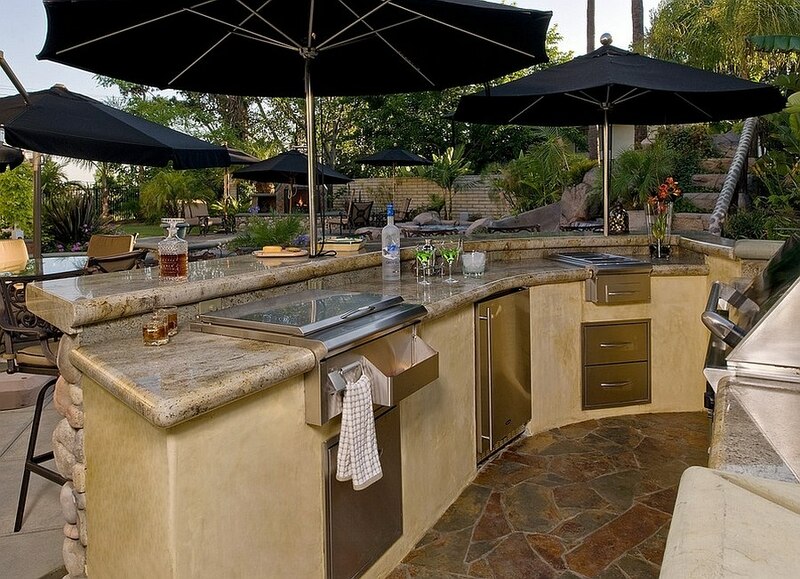 If you are not going to host any major parties or your existing kitchen is only a sliding glass door away from the outdoor lounge, then a small satellite kitchen might be the answer. 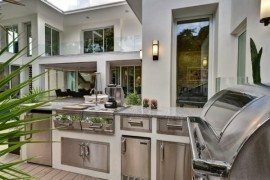 If a dedicated and standalone outdoor kitchen that can take the party rush on a beautiful fall evening is your aim, then incorporate clear cooking, prep and serving zones. 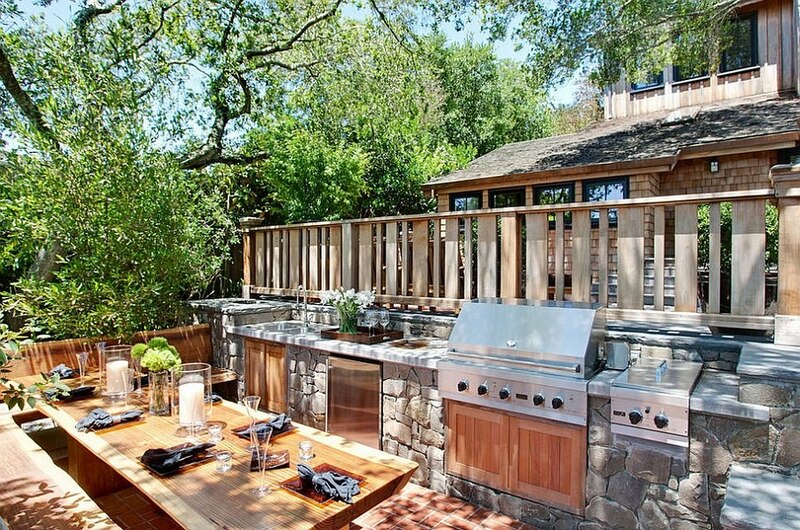 Picking a spot for your outdoor kitchen involves more than just considering the ‘party zone’ and proximity to your main kitchen. 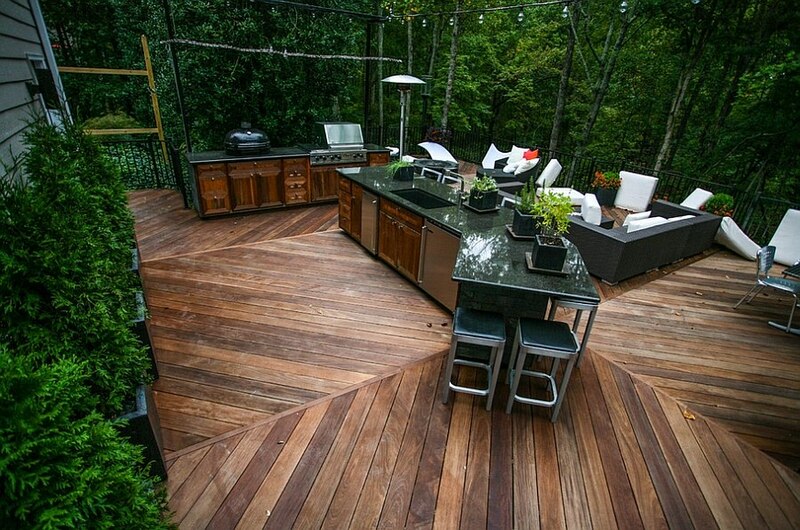 Outdoor kitchens close to the main house also make it easier to use the existing utility lines. A trip to the pantry inside the house will also be a lot shorter in this case. If you are happy with reworking the utility lines to any point, then think of the local weather conditions, sun, shade and the orientation of the house to select the right spot. 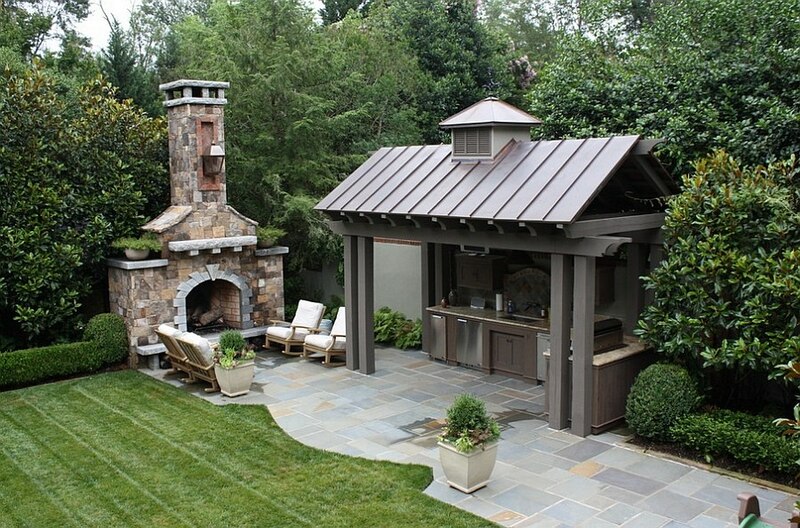 When it comes to designing an outdoor kitchen, the idea is to create an overall ‘social hub’ that encourages interaction and creates a fun hangout. 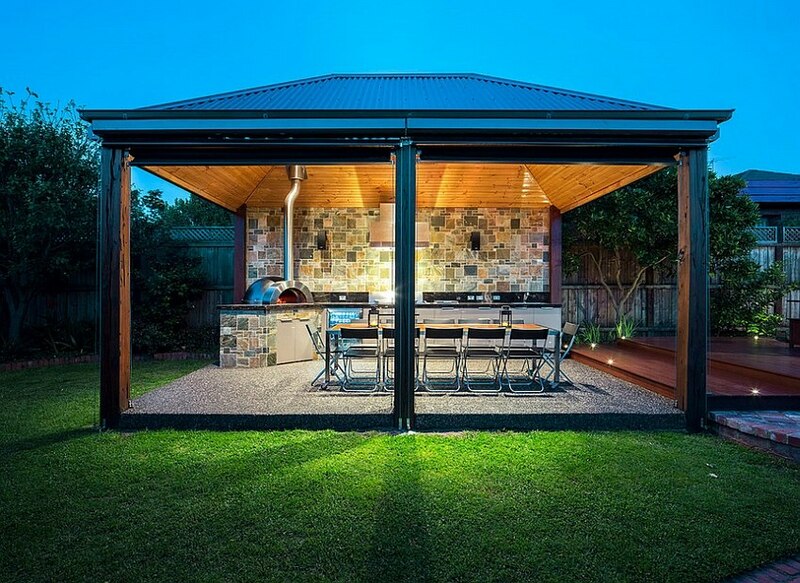 So, of instead worrying about the kitchen alone, consider where you will be placing the outdoor dining area and the informal lounge in relation to the kitchen. The distance between these elements should not be too great, as you do not want to create isolated pockets of activity. 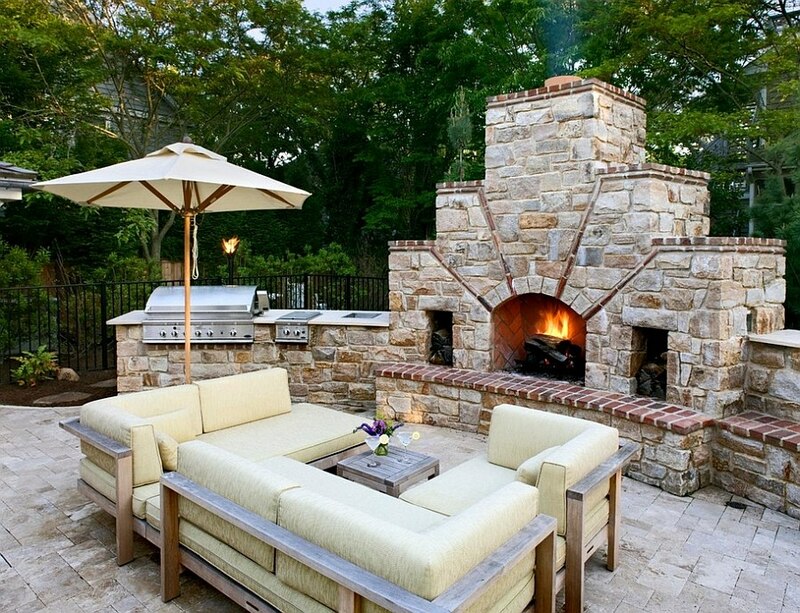 Create a common connection between these outdoor elements by using similar textures, finishes, colors and a single style that unites them. 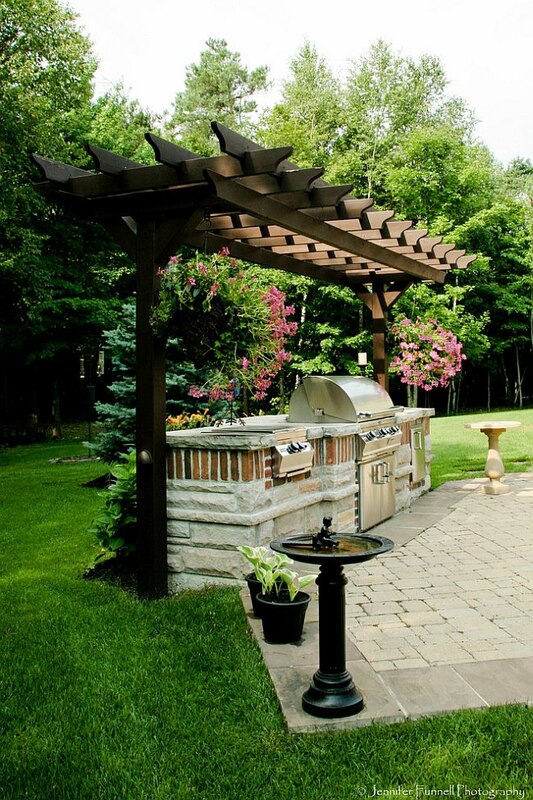 Whether you love a simple pergola that is an extension of the building façade or an exclusive cabana-style hangout, having a roof above the outdoor kitchen is a great idea. 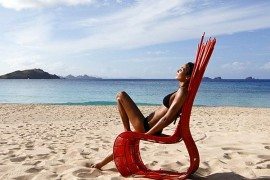 Most modern apartment balconies already offer ample shelter, but in case your outdoor kitchen lacks any shelter from the elements, it is best to have at least a beach umbrella handy! Remember that shelter not only protects the kitchen from an odd, unexpected shower, but also keeps the dust and scorching heat away! 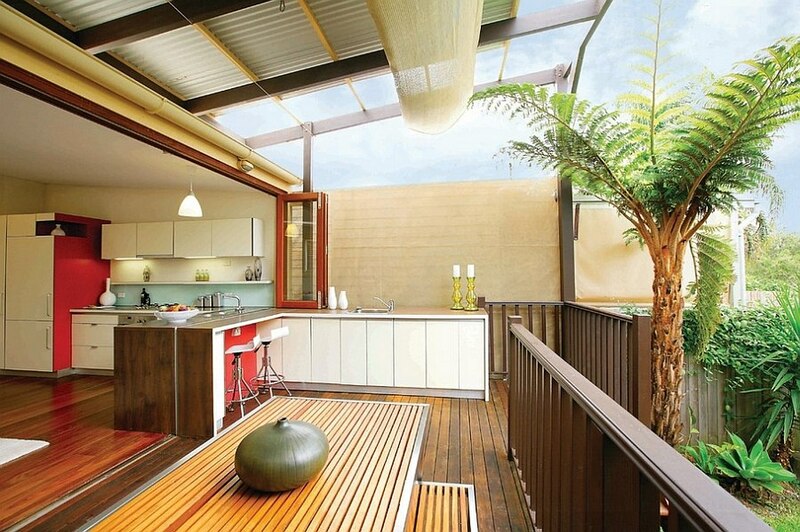 Comfortable seating the complement the outdoor kitchen and also the style of your interior by turning the backyard or terrace into an organic extension of your home. 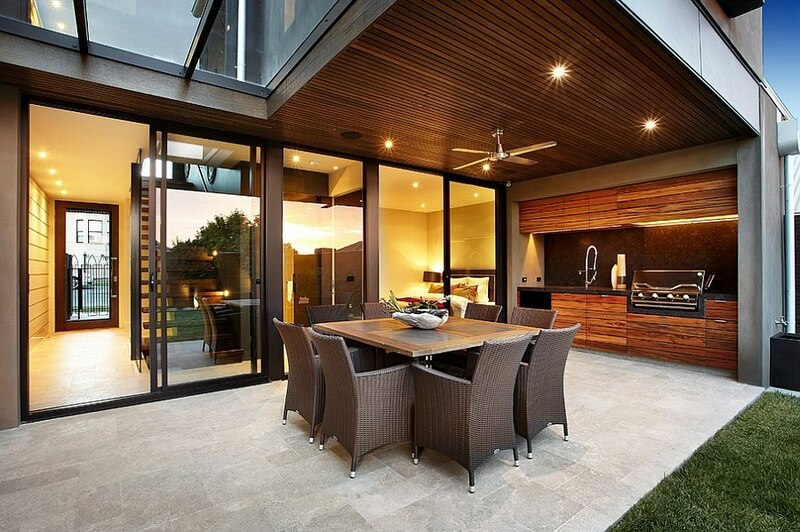 Large glass walls and windows accentuate this effect, and this gives the outdoor kitchen a more aesthetic look. 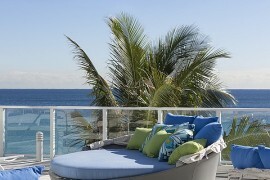 Plan for the traffic in the area as well, and take into account all the movement between the kitchen and the lounge. Leave enough space for the pathways and the frantic activity in the kitchen itself to ensure that the lovely kitchen does not seem crowded when it is time to host a gala celebration. 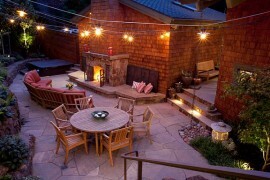 As always, lighting is the key element that will elevate the appeal of your outdoor kitchen when done right. 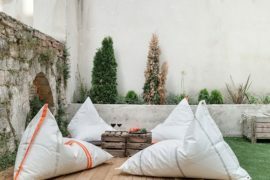 Since most parties do tend to start in the evening and often continue into the late hours of the night, the importance of perfect lighting cannot be underestimated here. Equip the high-activity zones of the kitchen with ample ambient and focused lighting and use accent lights to illuminate the pathways and the structural features you wish to highlight. 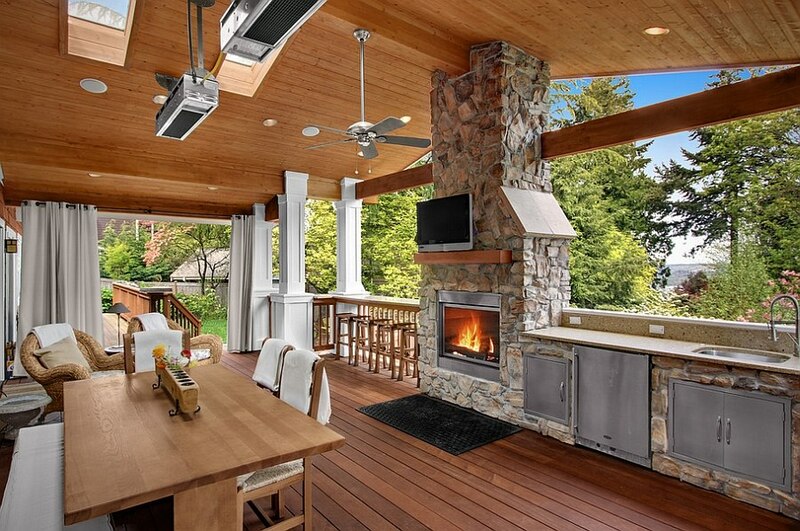 Throw in a lovely fireplace and maybe even an outdoor television that serves both the outdoor kitchen and lounge, and you are all set for the good times!